Gary De Mattei is an Actor, Director, Producer, Writer, Teacher, and Filmmaker living in New York City. He is the Founder and Artistic Director of The Artist’s Theater Repertory Ensemble (TheATRE) and TheATRE PICTURES. Mr. De Mattei is the author of the play with music, Eating Dis Order, Eating Dat Order which spoofs food shows and fad diets and ran for 7 months in the Bay Area, and the author of a new play, Bad Hemingway By The Bay: A Bad Memory Play,a two-act comedy-drama set in 1980’s San Francisco. The play is about R.T. Dickman, a writer and performance artist forced to make his living in the restaurant business in order to fund his obsession to be, Bad Hemingway By The Bay! It is the heartbreaking and hilarious tale of a young artist’s journey of self discovery told by Dickman’s ghost who returns from the grave one night a year to perform his legendary nightclub act, The Cold Man And The Sea, before daylight comes when he must return to his grave. The play had its first reading on August 9, 2016 at Cafe Stritch in San Jose, California, with De Mattei as R.T. Dickman and Caryn Hartglass as The Cabaret Singer. Another reading of the play is being planned for the Fall of 2018 in New York City and it will feature the same cast. He is also the author of The Swingin’ Gourmets Show which tours the country educating audiences about the benefits of a plant powered lifestyle. A proud member of Actor’s Equity Association, Gary was just seen in the New York Summerfest Theater Festival 2018 production of The Sign Of The Times, a new play by Howard Zuckerman, originating the role of Richard Deeds II. He also originated the role of Isacc in the new play, No One Asked Me, (written by Kate Ballen and directed by Matthew Newton) which performed at New York’s International Fringe Festival in 2014. Due to its artistic and critical acclaim, No One Asked Me was one of thirteen plays (out of several hundred) picked to perform off-Broadway in The Fringe Encore Series at The Soho Playhouse. 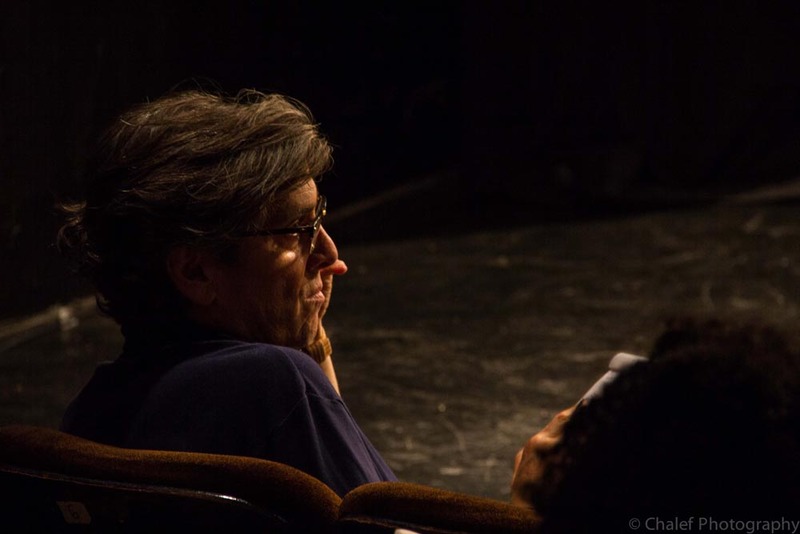 Gary has been involved in numerous readings and stage readings in New York City. He most recently played the role of Derrick in the new play, Time to Go, which was written by Daniel J. O’Donnell and directed by George Morfogen, and performed at the famed HB Playwrights Theatre in Greenwich Village. Some other New York City readings and staged reading credits: Mickey, in Jez Butterworth’s MOJO (Directed by Matthew Newton); Vershinin, in The Three Sisters by Anton Chekhov (Directed by Matthew Newton. ); Cliff, in The Lucy Nightmare by Charles Scott Jones and Directed by Jonathan Warman; Ben Brish, in The Korb Brother’s musical, Marry Me, at The New York Musical Theater Festival (Directed by The Korb Brothers). Gary can also be heard as Ben on the Marry Me concept album. Gary acting studies are ongoing at HB Studio in New York City, his teacher is Austin Pendleton. While acting in the San Francisco Bay Area, Gary received a Bay Area Theatre Critics Best Actor Award nomination for his portrayal of Fiorello H. La Guardia in the musical, Fiorello! for The Foothill Music Theater (FMT). Gary was also awarded: 1978/79 Season Scholarship; The Elizabeth Strain Scholarship Award for Acting Excellence; The Russ Conn Scholarship Award for Technical Theater excellence (the only time this award was given to an actor); and three Ginny Awards for outstanding achievement by an actor in a supporting role(s). During his eight years as a Drama Teacher and Theatre Department Chair at Presentation High School, Mr. De Mattei’s department was awarded The High School Musical Theatre Honors by The American Musical Theatre of San Jose. In 2009 Gary returned to Foothill Music Theatre as a guest artist playing the role of Max Bialystock in The Producers. He is an alumnus of The California Theatre Center and The San Jose Civic Light Opera Scholarship Training Program. He is the co-founder and former Producing Artistic Director of Theatre On San Pedro Square (TOSPS) in San Jose, CA. While at TOSPS from 1999 to 2008, Mr. De Mattei co-produced, presented, and/or directed over 50 professional theater, music, and dance productions. From 2003 to 2006, Mr. De Mattei and his business partner, Michael Smythe, crafted a Use Agreement with The San Jose Redevelopment Agency that would award free performance space to other qualifying non-profit arts groups. The agreement was ratified by the San Jose City Council in March of 2006. While operating the space and his own non-profit theater company on his own, Mr. De Mattei’s partner living in New York City, Caryn Hartglass, was diagnosed with advanced ovarian cancer. Feeling his place was with Caryn in New York during her illness, Mr. De Mattei pledged Theatre On San Pedro Square and all of its assets to The Tabard Theater Company of San Jose in April of 2008. The one stipulation was that the agreement to offer free performance space to other non profits, which took him three years to realize, was upheld. A restauranteur and professionally trained chef, Gary has conceived, opened and/or operated several unique restaurant, bar and entertainment concepts in the Bay Area that include: T-Bar Lounge at Theatre On San Pedro Square (owner/operator); Yanks Bistro Bar and Supper Club (owner/operator); and D.B. Coopers Restaurant, Bar, and Nightclub (General Manager). Gary also serves as Creative Director for Responsible Eating And Living (REAL), a New York City based 501(c)(3) not-for-profit company co-founded by himself and his partner, Caryn Hartglass.